When you work with us, you'll gain not only a world-class team but also a wealth of medical experience and knowledge. Read about some of our significant studies below. 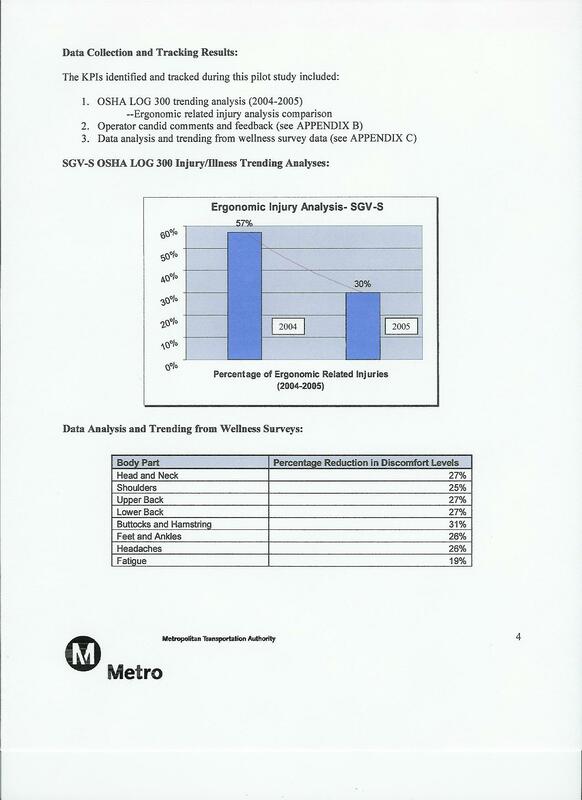 In 2005, Mr. Scott Boim, then the safety consultant for Metropolitan Transportation Authority in Los Angeles , conducted a study with our help in an effort to prove that there could be a simple solution for the numerous ergonomic workers compensation claims that were occurring despite having high quality seats for the bus drivers. 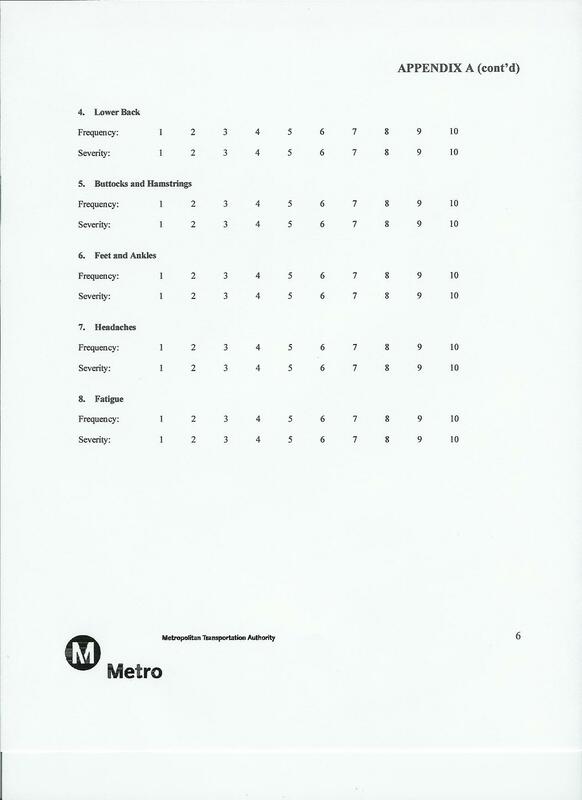 A back support identical to the Back Buoy™ was used by a group of over 150 drivers for the District. 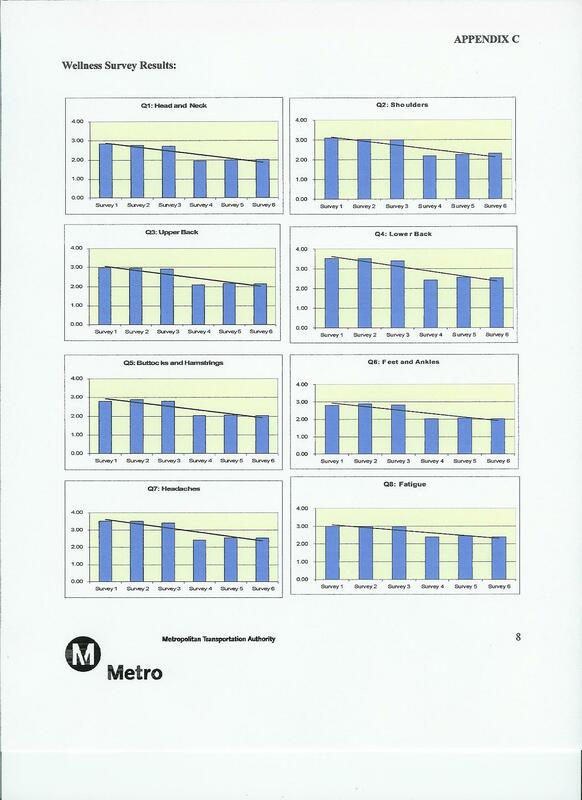 The results were highly gratifying for the drivers and for the District. During the study period there was over a 30% reduction in the workers compensation ergonomic claims rate and driver satisfaction increased markedly. The back supports are still in use, most drivers unwilling to drive without them. The drivers realized not only did the back support provide them with much more comfortable posture but it gave them much better trunk stability during the frequent turns made by the buses on the city routes. The back supports successfully reduced the strain caused by centrifugal force on the spine. Click the links below to view the study. Copyright 2009 TOSPro. All rights reserved.